Banfield is committed to helping our associates grow and direct their own professional development. A variety of career paths and growth opportunities await you, both inside and outside the hospital. Veterinarian: Provide compassionate, high quality veterinary care for the wellness of pets, while being devoted to the philosophy of long-term pet health through preventive care. Chief of Staff: Help advance medical quality, business performance and associate engagement in the hospital, while providing exceptional service and care to clients and pets. Medical Director: View the Field Leaders section to learn about our medical director positions. Both veterinary technicians and veterinary assistants support our veterinarians in ensuring quality care and maximizing their productivity. Veterinary technicians maintain medical charts, complete preparatory procedures for veterinarians and ensure that pets and their families are comfortable in the hospital. Veterinary technicians are the extra eyes and ears of our doctors, assisting in surgery and performing procedures as their state’s veterinary practice allows, so they enjoy an increased base pay rate. Many people on our veterinary health care team move into hospital leadership positions like lead veterinary technician, practice manager, learning manager. Some also come to our headquarters to work on medical quality advancement initiatives. Associate in our hospitals are on the frontlines of our business, serving as the face of our veterinary practice.  Client Service Coordinator: Greets and welcomes pets and their families, schedules appointments, provides home care instructions, places care calls, processes billings and collects payments, briefs the medical team of incoming emergencies and ensures that exam rooms are clean and ready for the next patient, provides clients with the first and last impression of our practice.  Practice Manager: Works with the hospital's medical leader to ensure our clients receive the highest quality medical care and service, responsible for developing and maintaining good relationships with associates, field leadership, Central Team Support and PetSmart®, selects, trains and supervises the client service and veterinary health care teams.  Veterinary Assistant: Key member of the hospital team who supports and assists the veterinarians and veterinary technicians, ensuring the safety of pets, clients and other associates, and the continuity of quality veterinary care,, provides professional, efficient and exceptional service, making sure that clients and pets are comfortable in the hospital.  Shift Lead: Works with the practice manager and/or chief of staff to keep the daily operations of the hospital flowing smoothly, ensuring that there is always leadership on-site to support associates and clients, promotes veterinary services and greet clients and their pets during hospital visits while carrying out or setting up procedures that do not require the assistance of a veterinarian or veterinary technician. Not only do our veterinary hospitals benefit from the support of our headquarters, but they also rely on the support of local field leadership to keep the hospitals running smoothly. These teams consist of a medical director, field director and learning managers who help build independent, committed and high-performing teams.  Medical Director: Responsible for ensuring high-quality medicine and an outstanding client experience; this opportunity for veterinarians includes recruiting, hiring, coaching and supervising veterinarians and working with field directors to ensure outstanding paraprofessional teams. Medical directors also partner with learning managers to ensure outstanding business practices and professionalism in each veterinary hospital; teach medical and surgical skills, evaluate performance through frequent hospital visits and maintain relationships with veterinary schools and veterinary technician programs.  Field Director: Responsible for providing leadership, direction, mentorship and management for hospitals in their markets to maximize the productivity of the veterinary medical teams; works in partnership with the medical director and learning manager to ensure hospitals are fully staffed and trained, and are providing the highest quality veterinary care and client service.  Learning Manager: Provides effective delivery of on-site field learning programs in partnership with our centralized Talent & Learning team; ensures associates receive appropriate training and development opportunities to support quality medicine, functional/operational skills, leadership development and an exceptional client experience; ideally suited for those who have worked in our hospital environments, have a passion for learning and are looking for the next step in their career. At Central Team Support, you'll build a rewarding career as part of a team of professionals who share your love of pets. 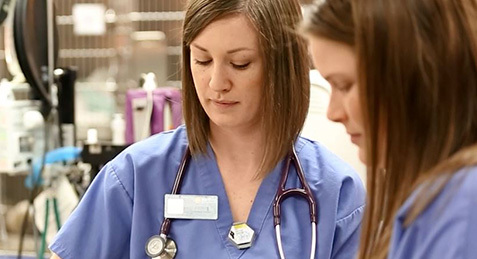 Associates at corporate headquarters are dedicated to providing the support necessary to help our veterinary hospitals provide the highest quality pet medical care possible. Our office employs a wide range of positions—from entry-level to senior management in various fields, including: Information Technology, Finance, Marketing, Purchasing, Quality Assurance, Human Resources, Talent & Learning, Recruiting, on-site Call Center and more. There are many good reasons to consider joining our Call Center. We’re the voice of Banfield and our hospitals, playing an important role in all things communication. We’re located inside Banfield’s home office and our full- and part-time associates enjoy above-average pay, opportunities for growth and benefits such as health insurance, a fitness center, on-site bistro and pet-friendly environment. With continuing education, training and personal development, as well as the chance to give back to the community, you and your career can thrive here. Also note that applicants with Spanish speaking skills are valued at Banfield and highly encouraged to apply. Shift bidding is assigned based on performance, not seniority. As an associate in the Call Center, you’ll do more than just use your communication skills. Areas include Client Services (general customer service responsibilities, updating billing information, processing payments, handling inbound and outbound calls) Retention (educating current clients on the value of Banfield’s Optimum Wellness Plans® (OWPs) and receiving inbound calls); Hospital Support (providing valuable non-medical support for our hospitals and receiving inbound calls) and Inside Sales (informing current and potential clients on value of OWPs and other Banfield products and services; receiving inbound calls and making outbound calls). We equip you with the skills you need to provide outstanding service with valuable feedback and appropriate training to help you succeed. At Banfield, we know that pets are not just pets. They’re our friends. Our support group. Our partners in crime. Pets are part of us. That’s why a job at Banfield is not just a job. It’s an opportunity to care for and give back to the pets who mean the world to their people.